This statue, which experts analyzed to have been made around AD 80, was discovered in 1512 and is a personification of the Roman river Tiber. The statue is accompanied by Rome’s legendary twin founders, Romulus and Remus, who were supposedly left to die but was carried to safety by the river and was found and suckled by a she-wolf. 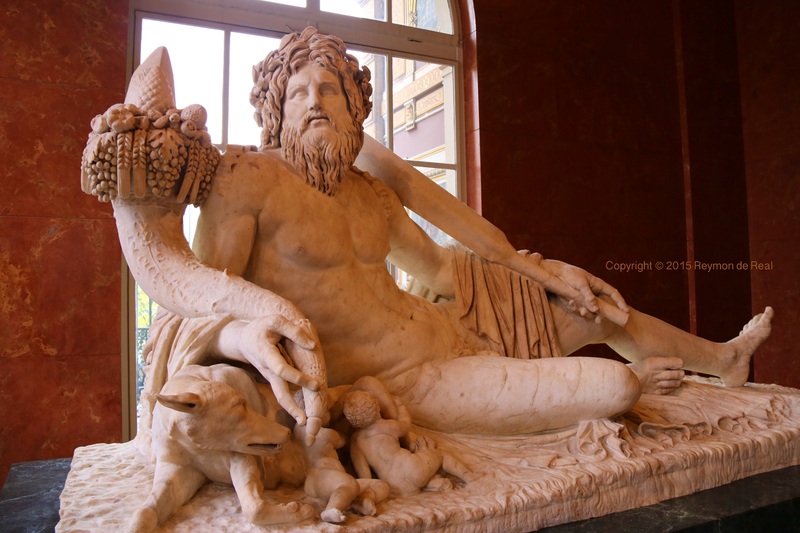 This photo was taken at the Greek, Etruscan and Roman Antiquities Gallery of The Musée du Louvre in Paris, France.